Parent & Child Aerial Class – One Sunday a month! 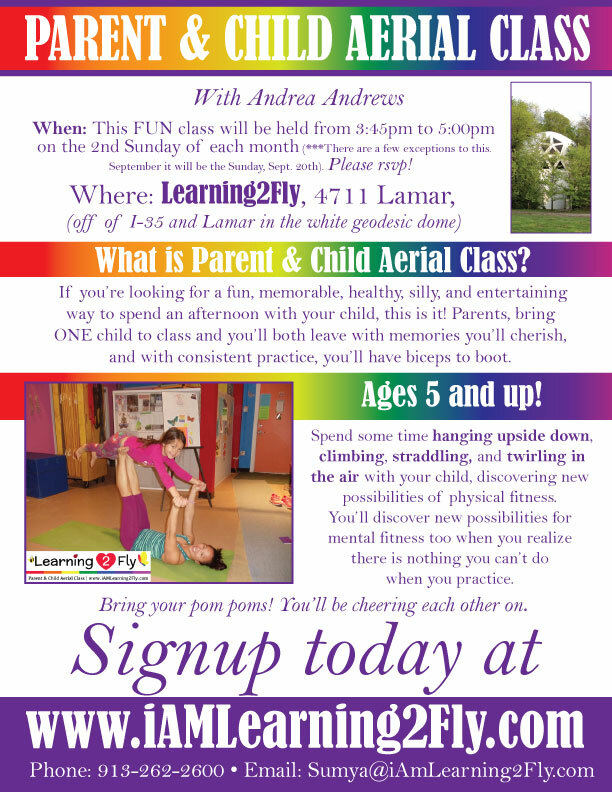 Parent and Child Aerial Class happens once a month with Andrea Andrews! What is Parent & Child Aerial Class? If you’re looking for a fun, memorable, healthy, silly, and entertaining way to spend an afternoon with your child, this is it! Parents, bring ONE child to class and you’ll both leave with memories you’ll cherish, and with consistent practice, you’ll have biceps to boot. Check website for current dates!